We had already reported that actor Ram teamed up with his Kandireega director Santhosh Srinivas for an out and out entertainer under 14 Reels production. The film was launched formally a few days ago. 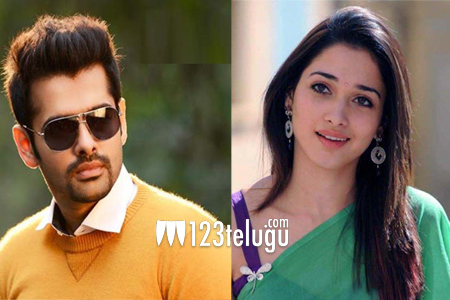 According to the latest reports, the makers have roped in Tamannaah to play Ram’s romantic interest in this film. In the past, Ram and Tamannaah were seen in Endukante Premanta in Karunakaran’s direction. The makers are quite upbeat about the film’s story and are confident of repeating Kandireega’s success. Ghibran is the film’s music composer. The regular shooting will kick-start soon.